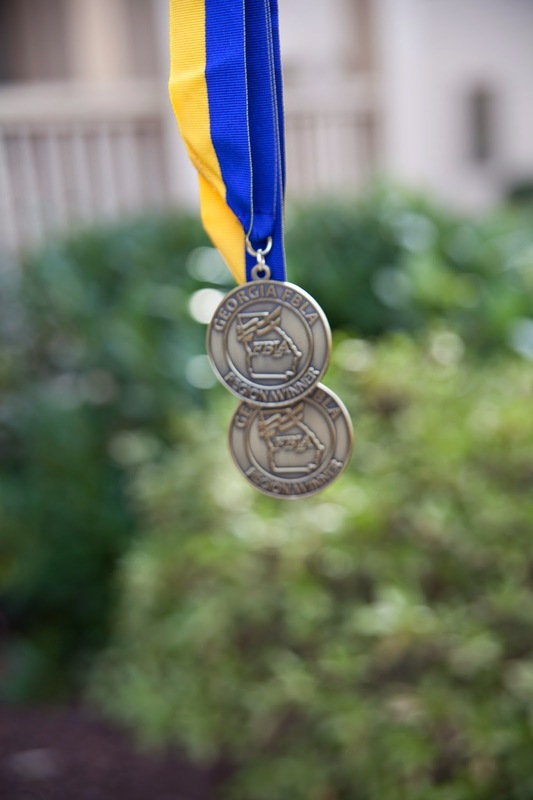 If you look closely these medals are not running medals, but they are FBLA medals. Now, you are probably wondering what FBLA is and who got these medals. Harris is a member of the Future Business Leaders of America group at his school. He has been working on several projects with this group and received these awards for his hard work and placement in the competitions. Even I have a hard time understand exactly what this group does, but I believe it challenges students to think outside the box and come up with inventions and ideas for the future business. I am just happy he is involved in something he enjoys. I titled this post marathon not just because the medals look like runner medals, but because having a child is like running a marathon and their high school career is even so more like a marathon as boy it is so hard to get through and one has to pace themselves. Harris is working hard to get into a good university. He wants to be a computer engineer. We are praying he will get an internship this summer and could use your prayers. He needs things like this on his resume if he wants to get into the school of his choice. I am so proud of him for working so hard.